At my age (never mind), no years should be throwaways. But I won't be sorry to see this one go. A cold, wet summer, followed by a cold, wet winter. Wages shrinking, jobs down the drain, the only thing up is the stock market, putting money in the pockets of people who already have it. And medical costs, which our much-needed national health insurance doesn't know how to cure. Kids dead on the street every day, and now, concealed carry. Every jumpy jerk will be packing. Wars, drones, school shootings, rapes in India, barrel bombs, children with cancer. I'm on the culture beat. 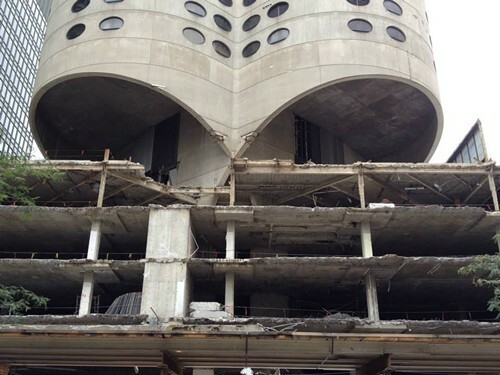 I wrote ten stories about the battle to save Bertrand Goldberg's Prentice Hospital building this year. In a city struggling to build a global identity, whose architecture is one of its few distinctive calling cards, a unique building came down. That was bad news, but not the worst. So come on, 2014. It's gonna get better, isn't it?